Tomorrow 3.9.2018 is Holy Sri Jayanthi ~ celebrating the birth of Lord Sri Krishna – born at Mathura, grew at Gokul / vrindavan, played at Govardhan – the supreme Lord who gave us Holy Bhagwat Gita at the battlefront in Gurukshetra. Kerala is replete with temples of Krishna ~ the most famous among them Guruvayur is not a divyakshetram though .. …. 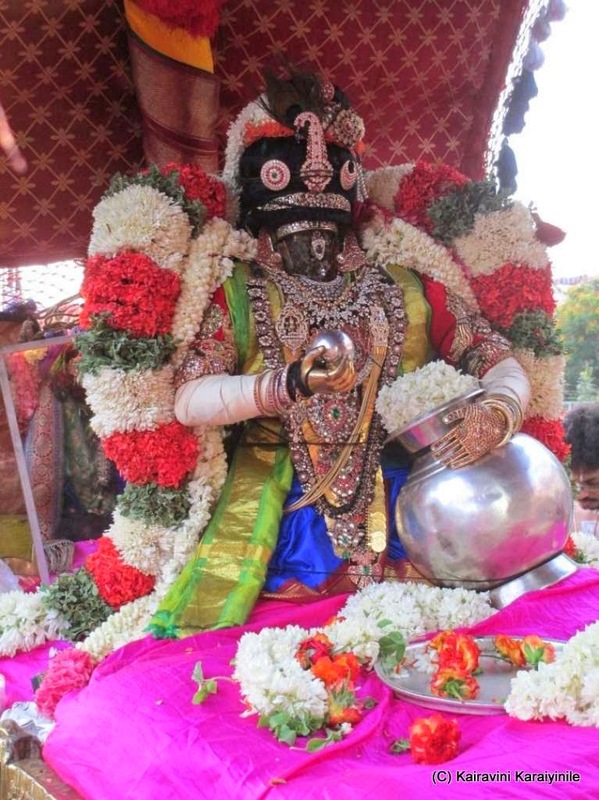 Here is something on Thiruvanvandur divyadesam – and starting with our Thiruvallikkeni Sri Parthasarathi in vennaithazhikannan (Lord Krishna in His prime youth fond of butter) ~ let us celebrate the birth of Sri Krishna at every home.. .. In literature – nayaki in love would speak to birds (and what not !) to convey her love to the Chieftain .. .. here Swami Nammalwar in his Parankusanayaki bavam speaks to birds of various hues to convey her unconditional love for that eternal Lord .. .. : O Flocking egrets picking worms in my flowery marshes! 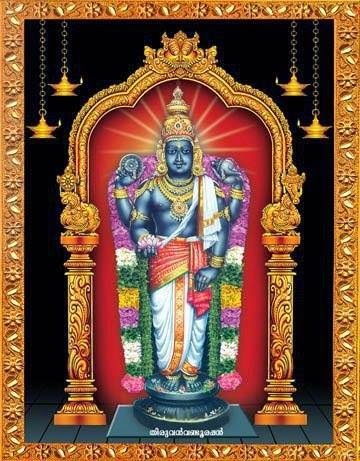 Go unto My Lord having shiny lips akin to those of fresh fruits, He who has discus (Sri Chakra) in hand, residing in the flowery prosperous Tiruvan-vandur, the flourishing land where paddy grows tall. Go tell him with folded hands my tale of love. 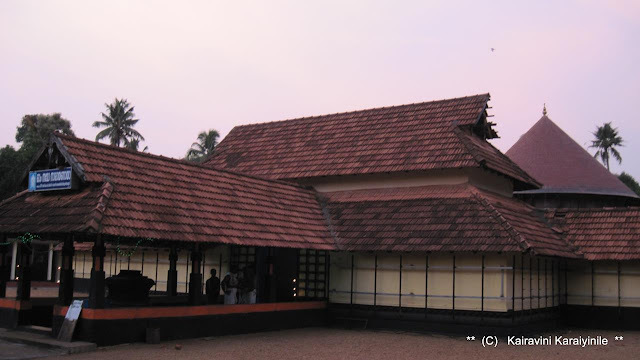 It is one of the five ancient shrines in the Chengannur area of Kerala, connected with the legend of Mahabharata, where the five Pandavas built one temple each; Thrichittatt Maha Vishnu Temple by Yudhishthira, Puliyur Mahavishnu Temple by Bheema, Aranmula Parthasarathy Temple by Arjuna, Thiruvanvandoor Mahavishnu Temple by Nakula and Thrikodithanam Mahavishnu Temple by Sahadeva. The temple is open from 4 am to 11:00 am and 5 pm to 8 pm and is administered by Travancore Devaswom Board of the Government of Kerala. 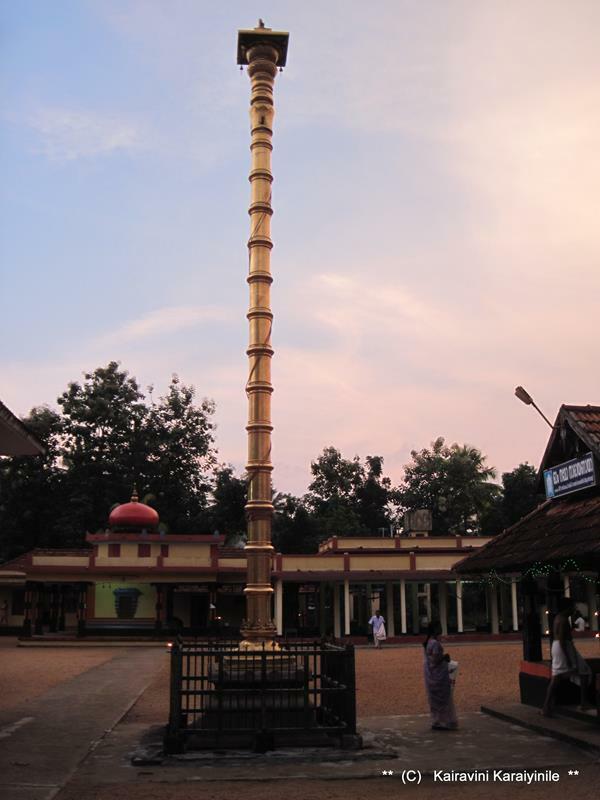 Thiruvanvandoor is a village in Chengannur Taluk in Alappuzha district, in Kerala. Addressed ‘Vaigal thiruvanvandur’ – it lies near Pandanad, Kerala which is believed to be founded by the Pandavas during their exile period. 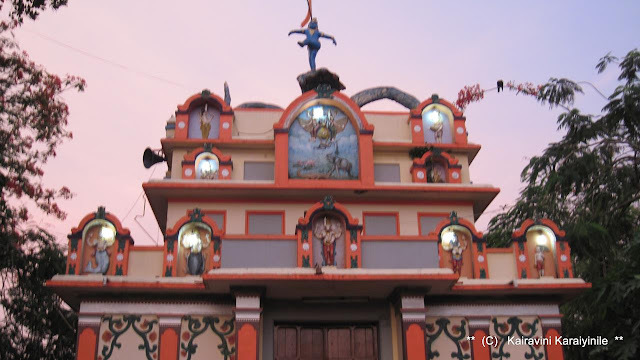 The region of Pandanad and neighboring villages have many Hindu temples Vanavathukkara that bear historic and architectural value. Sree Gosalakrishna temple is the famous temple nearer to the ancient temple Thiruvanvandoor Mahashetram build by pandava (nakula). 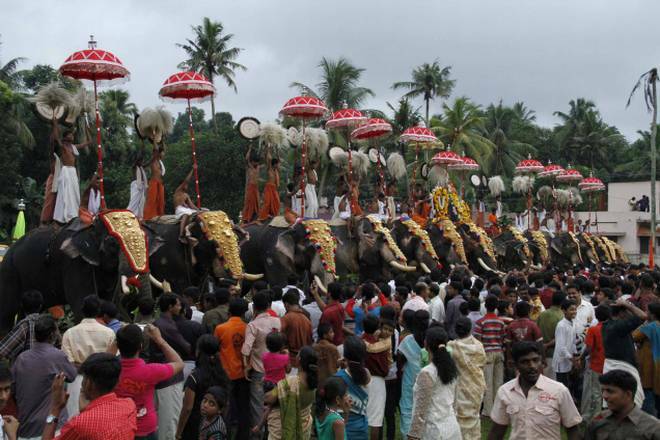 A major event is the annual Gajamela festival where Temple Elephants are used. 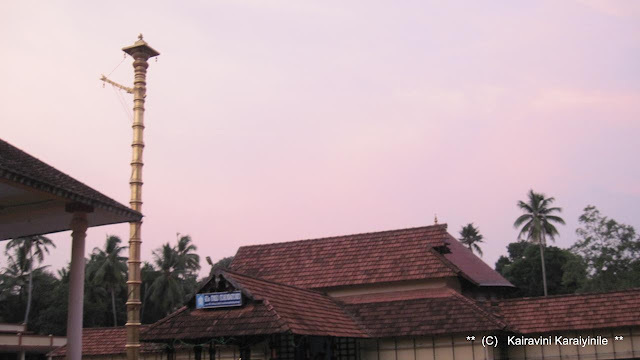 The famous Pamba river is near the temple and hence the name of the deity is Paambanaiappan. 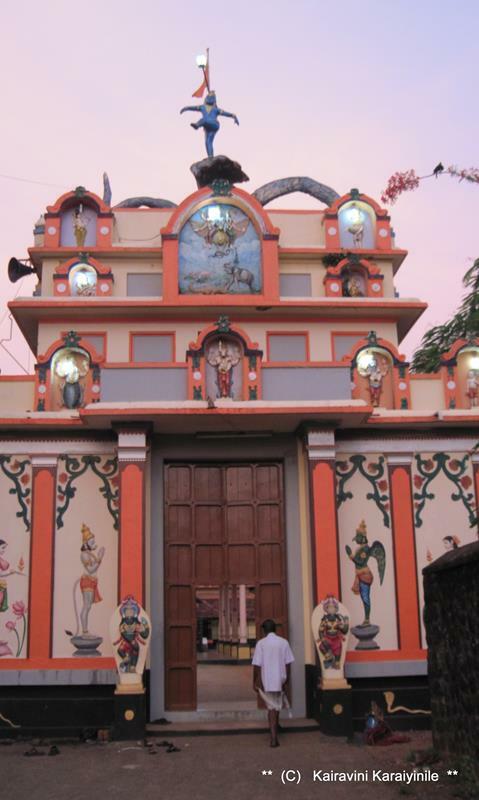 The temple is built in Kerala style architecture. 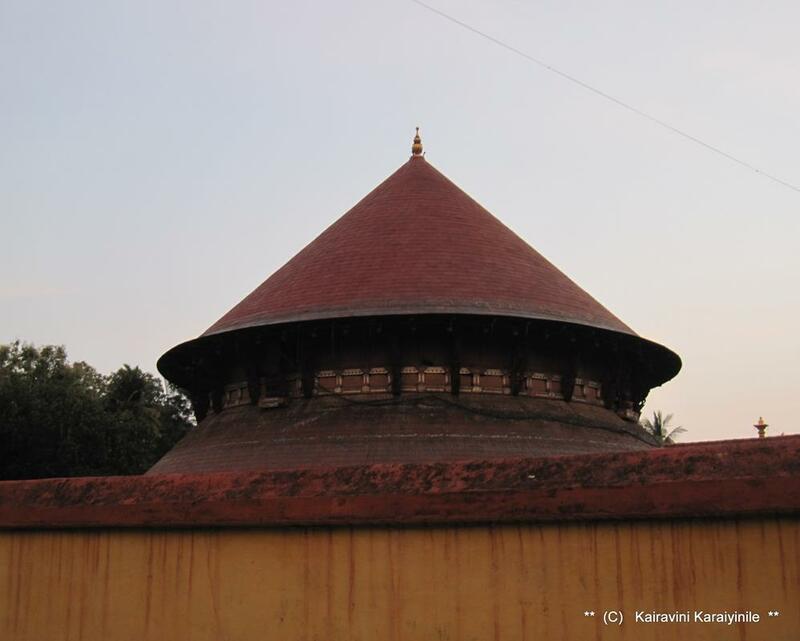 The temple has a two storeyed gopuram or a gateway tower, with the upper storey having wooden trails covering the Kottupura (a hall of drum beating during festivals). The Dwajasthambam is located axial to the temple tower leading to the central sanctum and there is a Deepastamba, which is the light post. Chuttuambalam is the outer pavilion within the temple walls. Between the entrance of Nallambalam to the sanctum, there is a raised square platform called Namaskara Mandapa which has a pyramidal roof. பூங்கழி ~ என்ன ஒரு அழகான சொல்லாடல் ! .. .. கழி என்பது கடலையடுத்த உப்புநீர்ப் பரப்பு ( Back-water, shallow sea-waters, salt river, marsh) அது கூட எம்பெருமானிடத்தே சேர்ந்துகொள்ளும்போது 'பூங்கழி' ஆயிற்று. தமிழ் இலக்கணத்திலே இது பண்புத்தொகை.. .. அதாவது பண்புப்பெயரைச் சேர்ந்து (தொகுத்து) வரும் பெயர்ச்சொல். பண்பு பெயர்கள் நிறத்தை, வடிவத்தை, சுவையை, குணத்தை, எண்ணிக்கையை என சார்ந்து வரும். இங்கே மணமாய் இனிமையாய் குறிப்பிட பூங்கழியென்று சொல்லப்பட்டது. இந்த அற்புத திவ்யதேசத்தை நம்மாழ்வார் - தலைவி குருகுகளை தூது செல்லுமாறு மிழற்றும்போது பாடியுள்ளார். சதா சர்வகாலமும், பூங்கழி எனப்பட்ட அழகிய நீர்நிலத்திலே இரை தேடி வந்துண்ணும் கொக்கின் கூட்டங்களே! ; கழனி நிரம்பிய செந்நெற்பயிர்கள் ஓங்கி வளர்ந்திருக்கப்பெற்ற - "திருவண்வண்டூர்" எனும் இந்த தளத்திலே நித்யவாஸம் பண்ணுபவனும், திருக்கையிலே திருவாழியாழ்வானைக் கொண்டவனும், சிவந்த மதுரமான கனியை போன்ற திருவந்ரத்தையுடையவனுமான, ஸ்ரீமன் நாராயணன் எம்பெருமானைக் கண்டு, கைகள் கூப்பி - இங்ஙனே பிரிந்திருக்கும் பாவமுடையளான என்னுடைய ஆவலைச் சொல்லுங்கோள் என்கிறார் ஆழ்வார். 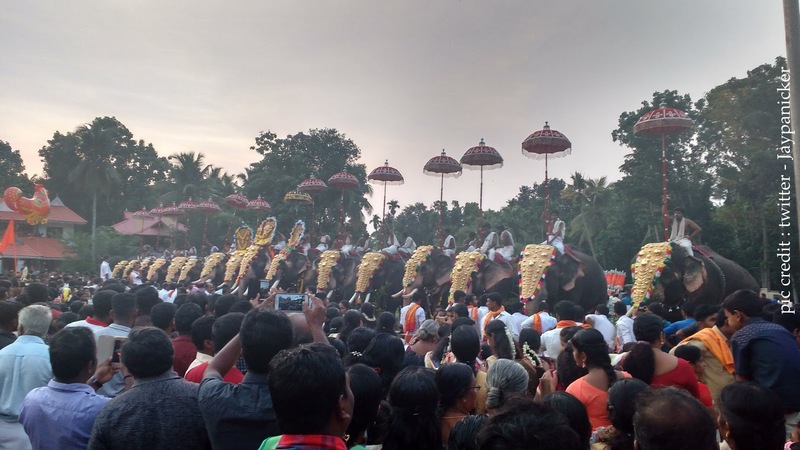 Read that the highlight of the festivities is Gajamela – a ceremonial procession with the accompaniments of caparisoned elephants, floats depicting Puranic themes, Mayuranrithom, Krishnanattom, Karakom, Nadaswarom, Panchavadyam, Pancharimelom, etc, - on this occasion thousands of people thronged the small hamlet of Thiruvanvandoor as well as on either side of the road to witness the annual procession.